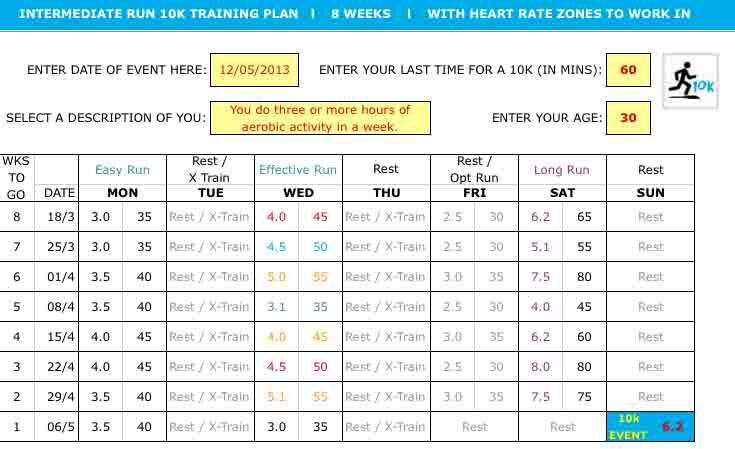 I’ve created an 8 week training plan for the 10k distance. 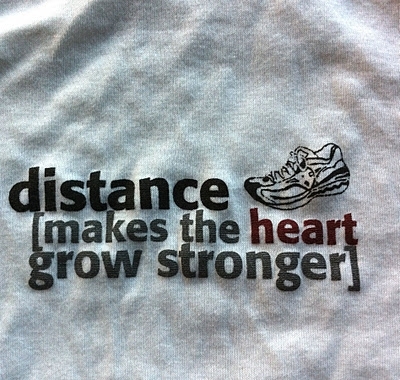 It has been designed so that you can put any date of a 10k event in and it will generate two 8 week training plans. Both are available in one excel file, downloadable for free on the link above. So it will work for the Mens Health 10k in June, or any 10 event: see the Scottish Running Guide or Entry Central for more events. My 10k training plan for beginners assumes you can run at non stop for at least 30 minutes and it will help you to aim for consistent running, three times a week. You can have 2-4 rest days a week and do some cross training instead of rest days if you want to. My 10k training plan for intermediates assumes you’ve got a few 10ks under your belt and you’re looking to improve your times or run and have fun and enjoy yourself. It includes three runs a week with options to cross train or rest, and focuses more on speed work, hills, tempo runs or time trials once a week. Both training plans include 10k time trials where you should aim to (if you can) run part of or all of the 10k route you are going to do. The first time trial should be an easy ‘see how you go run’ and the second time trial should be where you try to beat your first 10k time trial run. These two time trials should give you an idea of what time you should aim for when you take part in the event. 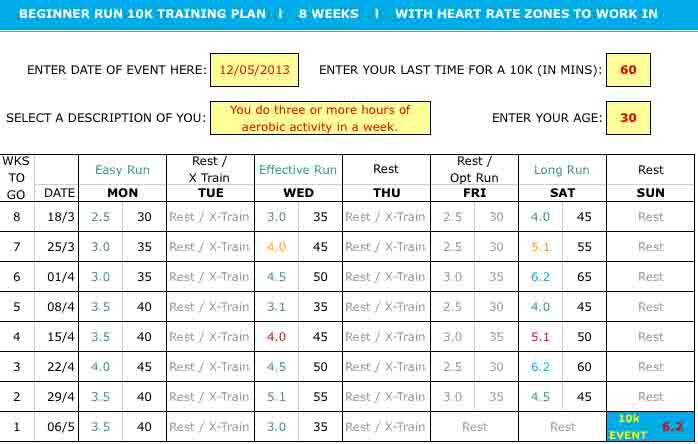 There is additional information about Heart Rate Training here, and in the last two tabs in the Training Plan. 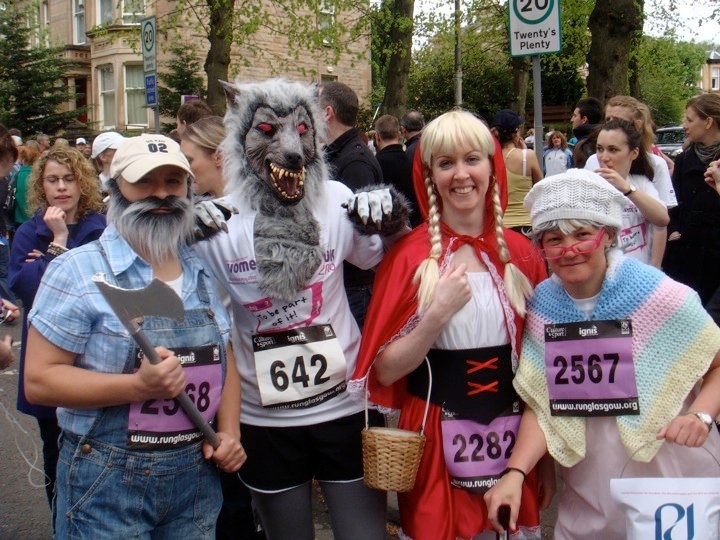 Other links to my articles about the Women’s 10k. This entry was posted in Intervals, Motivation, Run, Running Coach, Time Trial, Training Plans and tagged 10, 10k, 10k training plan, 8, 8 week, beginner, glasgow, glasgow women's 10k, Hills, k, run, running, running coach, training, womens. Bookmark the permalink.